Welcome to Grapevine Chrysler Dodge Jeep Ram’s Finance Department where our Finance Experts are here to provide professional assistance to you. 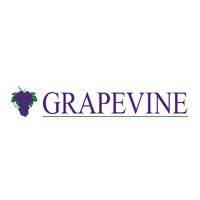 Whether you’re looking to buy or lease, the Grapevine Finance department is here to help. We can help finance new or pre-owned vehicles and will happily explain the pros and cons of buying verses leasing so you can make sure you’re taking home the vehicle of your dreams. Our Finance Department is also home to our online tools that will answer many of your finance questions before you even arrive. The car payment calculator will help simulate buying options and by submitting a Finance Application, we’ll be able to asses possible credit routes and start the car buying process. Most all types of credit can lead to auto ownership. Our Finance Experts can present you with options even if you have no credit. Grapevine Chrysler Dodge Jeep Ram has strong financing relationships and a commitment to serve you which allows us to treat every situation with our full attention and to provide our customers access to a wide variety of resources. To connect with a Finance Expert, call or visit us or contact us online and we’ll respond to your inquiries almost immediately. We’re proud to be serving the greater Fort Worth, Dallas, Irving, Arlington, and Plano, Texas areas.